Many missionaries to Africa took the first approach. Mission documents show the widespread belief that African traditional religion was all wrong. Some held that the religious practices came from Satan himself. Some even condemned all African customs – religious or not. The second – that it’s all good – is relatively new. It’s part of total cultural relativity. I remember a group of French academics warning us Bible translators against telling people to destroy their idols. For them, idols were good and should be retained. The people doing wrong were missionaries who taught otherwise. The third approach – that there’s light in the darkness – says that Jesus Christ is the only way, truth and life; that no one gets to God except by him. So all other religions fail in their primary purpose. People following them may sincerely try, but their religion cannot do what religion is supposed to do. 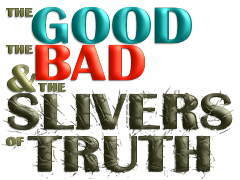 Nevertheless God puts slivers of truth in their failed religious beliefs which validate the Gospel when it comes. Don Richardson’s books The Peace Child and Eternity in their Hearts present dramatic cases of this approach. Depending on the place, it has been decades or even centuries since missionaries came with their approach that African traditional religion was all wrong. 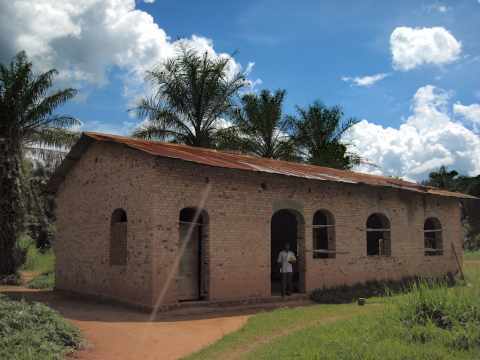 That has given plenty of time for African pastors and theologians to evaluate the missionaries’ efforts. First, they almost always commend the selfless work of missionaries. But they also go on to propose ways it could have been better. I just read an article showing some of the mistakes missionaries made in Ghana including how they misunderstood traditional religion. It shows the inaccuracy of the it’s-all-wrong approach; but more importantly, it shows how that approach limited Gospel impact and missionary effectiveness. 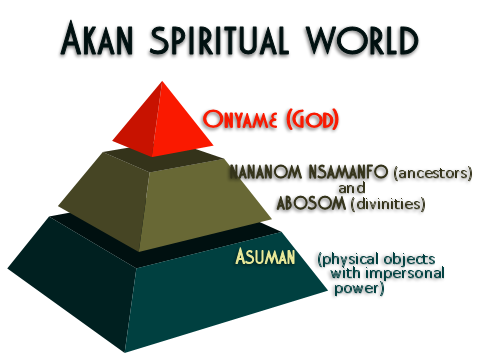 For the author, it hindered dealing effectively with the issue of ancestors and other spiritual powers (the Abosom). That mirrors a book a read by an African church leader in which he states that the missionaries’ wholesale attribution of traditional religious practices to Satan actually strengthened witchcraft and sorcery, making it more difficult for the church to deal with and leading to a situation today where some church members continue to dabble in it and many more fear it. One would think that the it’s-all-wrong approach would be the safest. It does feel like an uncompromising stand for the truth. In its effects, however, it can be counterproductive. Besides, the Apostle Paul took the truth-in-failure approach in dealing with idolaters in Athens, (Acts 17:16-31) taking time to study their different idols. He obviously thought that it was good to learn about their religion even though idolatry is condemned by the first two of the Ten Commandments and the idolatry of Athens troubled him greatly. Then he made the claim that one of their forgotten deities is the true and living God. Today, many Africans Christians take the truth-in-failure model in dealing with their traditional religion. 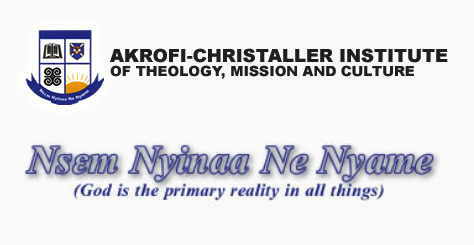 One leading theological seminary in Ghana has even taken as its motto a traditional Akan sayiing: Nsem Nyinaa Ne Nyame (God is the primary reality in all things). If you have friends or acquaintances who follow another religion, I suggest you try the truth-in-failure approach in witnessing to them. 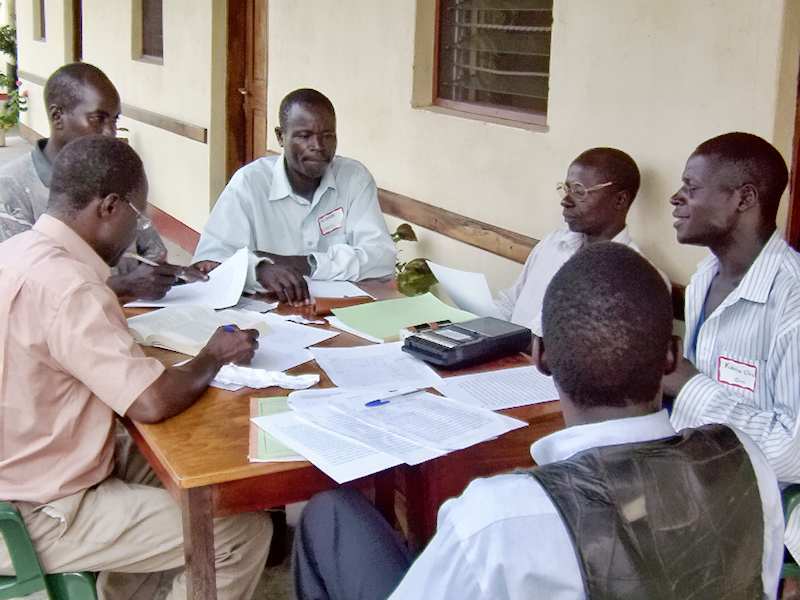 We promote Bible translation that takes seriously the culture and language of the people; seeking the expressions and word-images that are the slivers of truth God has placed there so that people can understand and believe. What is a taxi, a mechanic or a Christian? 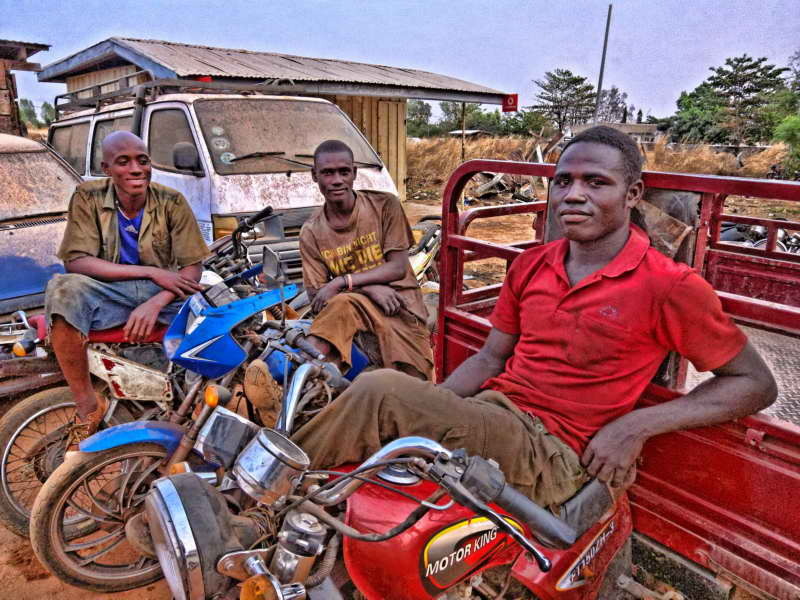 For a time when our boys were young and we lived in Ouagadougou, we did not have a car. I had a scooter and when we went out as a family, we went by taxi. 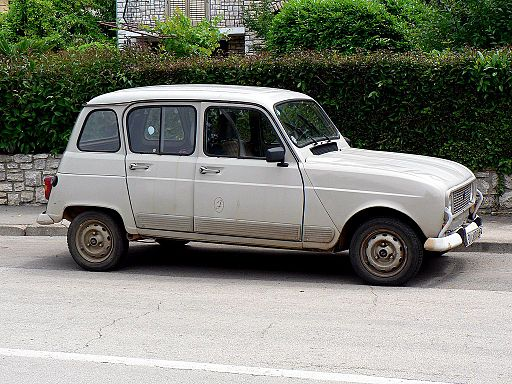 At the time, most taxis in Ouagadougou were the Renault model R4 and they were in terrible condition. I got in one that filled with blue exhaust when the motor started. I jumped out and got into the next R4 in the taxi line. When that one started off, it rattled, banged and shook side-to-side. The driver, having seen what happened to me in the first R4 said: “That guy’s taxi is rotten!”. My jaw dropped. I asked him: “And yours?”. 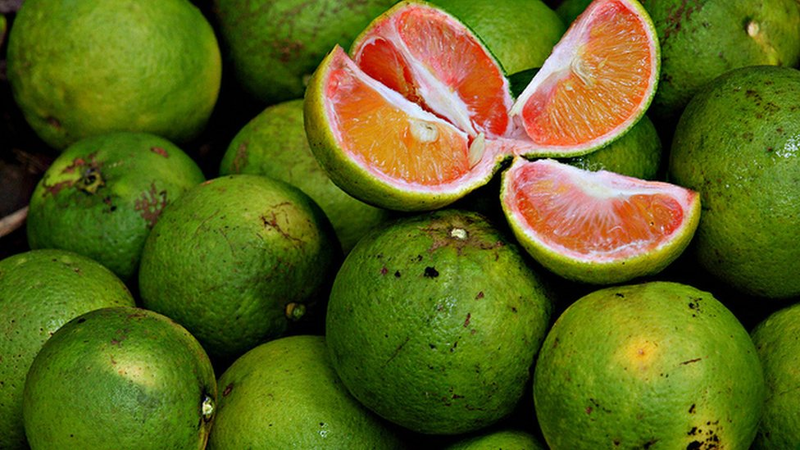 “Oh, it’s rotten too!”, he said, “They’re all rotten”. Some time later, we were planning a vacation in neighboring Côte d’Ivoire. We were to fly to Abidjan and spend one night there. Before leaving, Matthew asked me how we were going to get from the airport to where we were staying. I told him that we would take a taxi. After arriving in Abidjan, we got a taxi and started smoothly off. Matthew said: “Dad, you said that we were going to take a taxi!”. I responded that we were in a taxi. Matthew retorted, “No, a taxi goes …” and he made all sorts of clanking and grinding noises while wiggling his body violently. A friend from West Africa told me a story of her first trip to South Africa. She was traveling around by car and it broke down. Going to a place people told her was a mechanic she found a nice, clean shop and a man in a relatively clean uniform approached her. She said that she was looking for a mechanic. The man told her that he was a mechanic. “No! You’re way too clean to be a mechanic!, she retorted” In West Africa, many mechanics work in the open by the road, do not wear uniforms and are generally covered with grease and grime. For her, this man in a recently laundered uniform in a well-kept shop did not fit the picture. When we lived and worked in Burkina Faso there were some parts of the country where there were very few Christians. Burkina Faso is a former French colony, so the only kind of Christianity some people had seen was the Catholic variety. Many of the educated and civil servants were marginal Catholics. It was considered the religion of the educated. This resulted in a situation where the only supposed Christians some people had ever known were civil servants who were corrupt, drank and womanized. They also attended mass occasionally and claimed to be Christians. One young man told me that when he told his family he had become a Christian, his father, a practitioner of another religion, cried saying that he would know become a drunk, corrupt womanizer. In such contexts, I avoided calling myself a Christian. Matthew understood taxis according to his experience of them. My West African friend understood mechanics by her experience of them. Some in Burkina Faso understand “Christian” by their experience of the only people they know who call themselves Christians. When I avoided calling myself a Christian, I was not appeasing someone. I just wanted people to know Who and what I really stand for. I am quite suspicious of the accusations I see in Christian publications and websites that some Christians are “appeasing” others when they don’t use certain words. In some cases, I know that those accusations are false. The accused are just trying to be clear in places where those words have other meanings. Is contextualization good or bad? In missions, contextualization is making the message of the Gospel fit the context. Translating the Bible into the language of the people is a form of contextualization. Translation takes the message and makes it fit that language. Contextualization is usually understood as a set of deliberate steps taken by the person presenting the Gospel. But it is also what hearers do consciously or unconsciously. When people hear something new, they fit it into their context, clarifying or distorting the meaning. We live in a part of the world where the elected become the bosses and the voters become the servants. So democracy has been contextualized in Africa in ways that my friend and other Africans find undemocratic. No one planned this. It just happened. Those who pushed for democracy didn’t take care to see that it was properly contextualized. Now there needs to be a deliberate process to contextualize it differently. The quote on the right by Michael Ventura gets it almost right. A piece of information is like a dot that floats in the brain of the hearer without meaning until it is connected with other dots. But it cannot stay like that. It doesn’t float around in the brain without any meaning. Instead the hearer tries to make sense of it, attaches it to other dots and makes a meaning – right or wrong. If the person giving the information doesn’t connect the dot of information correctly to other dots, the hearer will connect it however he or she can. Anyone communicating into another culture who does not pay attention to contextualizing their message is leaving the interpretation of that message entirely in the hands of the hearers. The results might not be what the person wants. You can’t keep the Gospel pure by avoiding contextualization. It’s the other way around. Some of the translations I have been associated with are being done in places where there was a church for some time prior to the translation being done. When Christians finally have the Bible in their language, they usually find they a number of places where the Gospel message was distorted. The translation effort becomes a process by which the Gospel is contextualized differently – this time more accurately. When they read a passage and exclaim, “Now I understand”, it is often not just that the message is now clear; it is also that the message has now been correctly connected to their context, it now fits; it can now be integrated into their life (context). 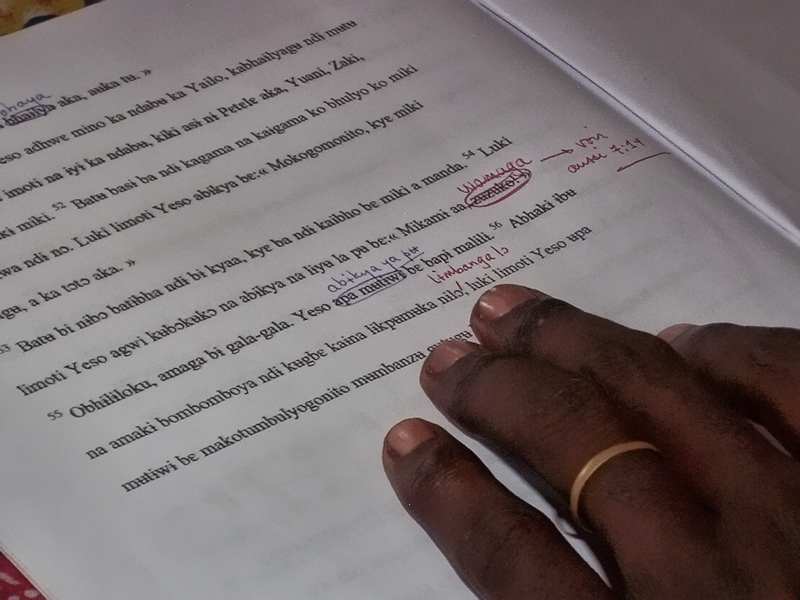 In one case, a colleague was working in a language where the people had been evangelized for decades, but they did not have the Bible in their language. He found that the word being used for the manger in which Jesus was laid meant a fancy baby bed. After all, that’s what missionaries used for their babies. The people had nothing like a manger. So the Christmas story got contextualized in a way that distorted it so that Jesus was put in the kind of bed used by the top 1% of the population. My colleague asked what container people used for food for goats or chickens. They responded with a word for a certain kind of basket. When that was put in the Christmas story it had quite an impact. Jesus wasn’t put in the kind of baby bed used by the top 1% of the population, but rather in a bed even poor people would not ordinarily use. It was an eye-opener. Jesus was connected to their context. 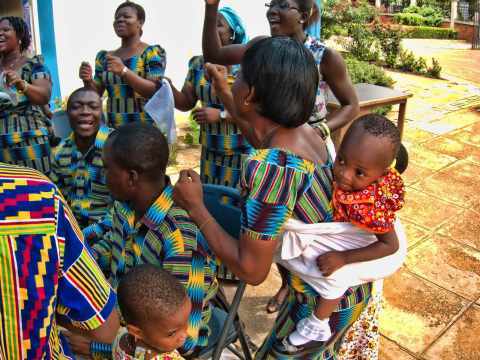 That connection is why translations of the Bible into the languages of Ghana have been shown to produce positive changes in behavior even in places where there were churches for decades before the translation. Contextualization is a big word to say that the Gospel is presented in the local language and cultural forms. It can also be understood as making the Gospel message and the church relevant to society or to a culture. In this conception, forms of worship, music, and church programs are changed to make them fit contemporary society or a different culture. Eventually, this may extend to modifying what the church teaches where older teachings are considered out of touch with, or even reprehensible to, society at large. The goal of this kind of contextualization is to draw in more people – to be more relevant. I have said it many times, but it always seems to bear repeating– contextualization is not watering down the message. In fact, it is exactly the opposite. To contextualize the gospel means removing cultural and linguistic impediments to the gospel presentation so that only the offense of the cross remains. It is not removing the offensive parts of the gospel; it is using the appropriate means in each culture to clarify exactly who Jesus was, what He did, why He did it, and the implications that flow from it. I subscribe to this kind of contextualization. A while back, I heard a preacher criticize Campus Crusade for changing their name including dropping the word “crusade”. This preacher saw that as an act driven by fear of offending a certain group. But the word “crusade” does not appear in the Bible. For me its primary meaning is a large evangelistic meeting. But for much of the world it brings a message of forcing people to change their faith through military action – something quite against Jesus’ message. I have seen other cases where fear of watering down the message was applied in such a way that it distorted the real message. I know that the message of Jesus can be controversial. That does not bother me. What bothers me is presenting something that is controversial and alienates people, but which is NOT the message of Jesus. It seems to me that the word “crusade” can do exactly that. I am sad to say that some people seem more concerned that they make a clear stand against certain people or groups than that they accurately represent Jesus. Standing against a certain group makes a message look strong and uncompromising, but it almost inevitably distorts it all the same. Our approach to translating the Bible focuses on accuracy – “removing cultural and linguistic impediments” so that only the original meaning remains. Pleasing any particular group is not our concern, nor is standing against any group.